The University of Nebraska system has expanded its membership in the Unizin Consortium, with the University of Nebraska at Kearney, University of Nebraska at Omaha and University of Nebraska Medical Center joining Unizin founding member University of Nebraska-Lincoln in the nonprofit consortium. 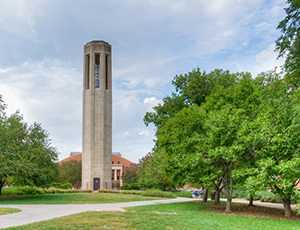 Unizin was created by Indiana University and 10 other institutions in 2014 to provide course materials, LMS and analytics services to its members. The addition of the full University of Nebraska system brings the total number of Unizin institutions to 25. A primary goal of the consortium is to give colleges and universities control over their own content, data and technological systems. "It is pretty exciting that we can go from faculty-authored content delivered through a platform owned by the academy to all the digital tracks coming off of it into repositories owned by the academy that are available for IRB-approved research," said Unizin co-founder Brad Wheeler, IU vice president and CIO, in a Campus Technology story last year. "We don't have to ask for our data back. It is our data, and our students' data. That is an important thing for the future. We are hoping to enable the means of improving digital education through the institutions being able to assert a much greater degree of control around content, learner interaction platforms and analytics." The University of Nebraska system will now have access to Unizin services such as the Unizin Data Platform, the Unizin Engage e-text platform, tools for course development and more — plus the opportunity to collaborate with other higher ed institutions to improve learner experiences. "The University of Nebraska campuses will have access to better data management solutions and analytics capabilities through Unizin," said Amin Qazi, Unizin CEO, in a statement. "Furthermore, they will have the ability to participate in the creation of the world's largest learning laboratory." "I appreciate the transparent and inclusive process which relied on faculty recommendations as the primary consideration in the move to Unizin by all of the campuses of the University of Nebraska," commented Susan Fritz, executive vice president and provost for the university. "This move is also supported by each of our chief academic officers. We are pleased to join this important consortium."